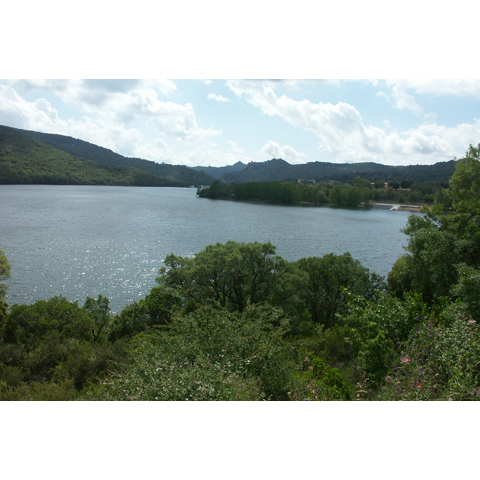 Protected by hills covered in downy oaks and Mediterranean scrub, giving it a pure look, the deep blue lake of Gusana stands out. 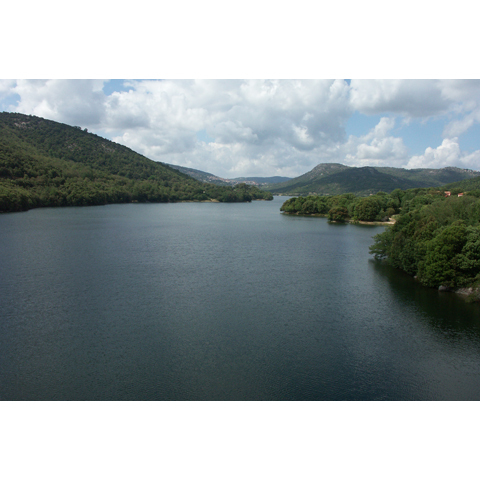 It is an artificial basin, formed between 1959 and 1961 in the territory of Gavoi, which is just two kilometres away. 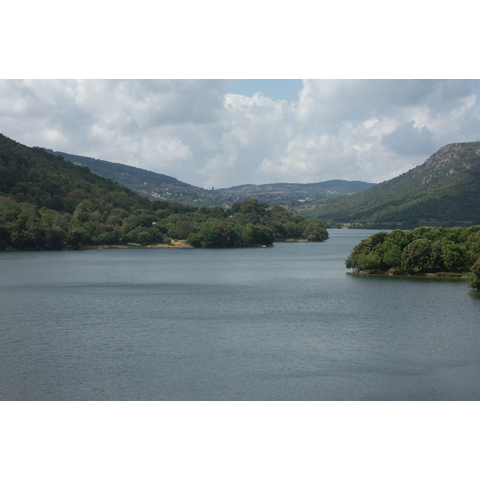 Originating from the barrage of the river of the same name, it extends along the base of the plateau of Fonni, blending perfectly into the landscape, charmingly 'set' between the Barbagia mountains of Littederone and Nodu nos Arcos. It is a precious destination for those who love relaxing and for the peaceful sensation: you can adventure into its waters on a canoe trip or you can have fun doing some recreational fishing, keeping in mind the limitations based on the periods in which it is permitted. You can also visit the woods around the blue lake on horseback. Near its banks, you will find accommodation facilities where you can enjoy a stay with every amenity at your disposal. Throughout the year, you will be captivated by the natural context in which the lake is located: in the winter, by the snowy mountains in the background - with the nearby ski resort of Fonni - while in spring and summer by the cool climate and the bright colours of nature. Then, when Autumn in Barbagia comes to Gavoi in mid-October, you can taste the delicacies and admire the excellent artisan products. 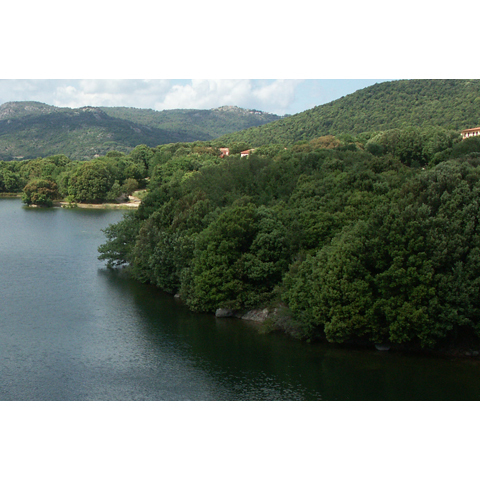 Surrounded by mountains and the Gusana lake, Gavoi is located in the heart of the Island. Walking along the village streets, you will be attracted by the flower-filled balconies, from which writers, actors, musicians and journalists from all over the world perform at the beginning of July on the occasion of the literary festival, ‘The Island of stories’. In order to get a deeper knowledge of the local culture, visit the Casa Porcu Satta, a museum that boasts the most beautiful traditional clothes, toys from the past, the tools of ancient trades and musical instruments, like su tumbarinu, the drum played by the tumbarinos, who made the village famous. From SS 131 bis take the turnoff to Ottana, then continue to Gavoi. 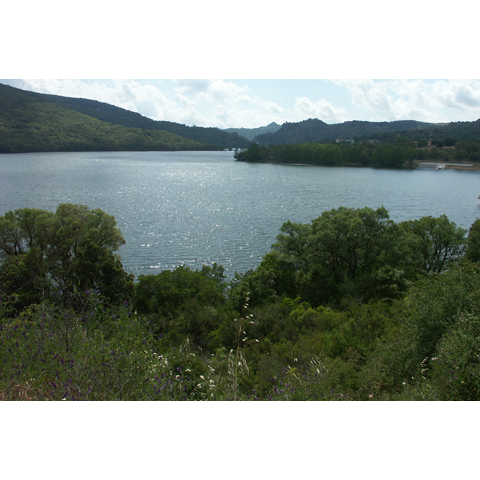 From Gavoi take SS 128 (Gavoi-Fonni), which winds alongside Lake Gusana.